Looking for a 01-03 M5 Le Mans blue over anything, prefer black and silver stone. Miles are not a concern as long as there are maintenance records. Looking for a drivers M5. I have cash and can travel. Last edited by GranTurismo; 30th March 2019 at 08:03 PM. 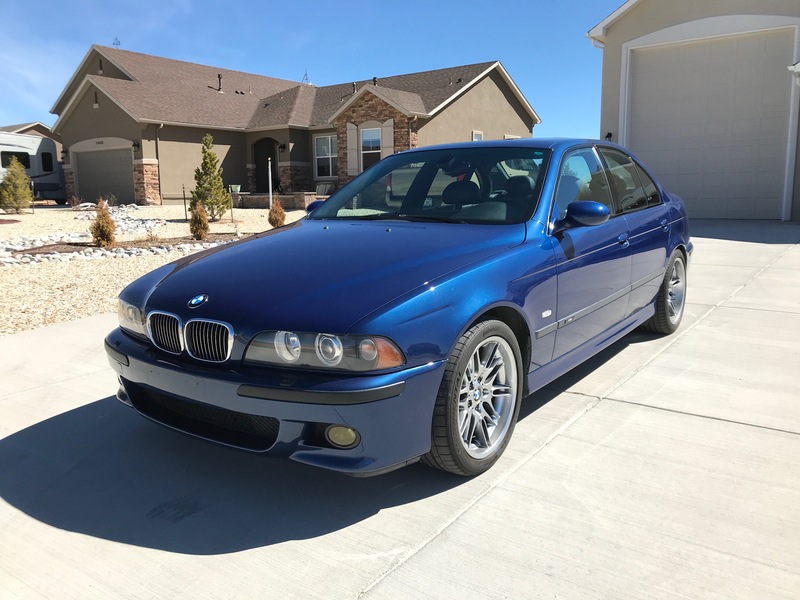 I have an 02 M5 LeMans Blue I'm getting ready to sell. 63K miles, never seen snow or salt, always garaged. Upgraded exhaust and shifter. There is a LMB e39 m5 for sale on Craigslist Seattle. This one is right in your state. Thanks guys. I ended up buying the LB in Seattle.Love the car! Looks like a beauty. Have fun with it! !